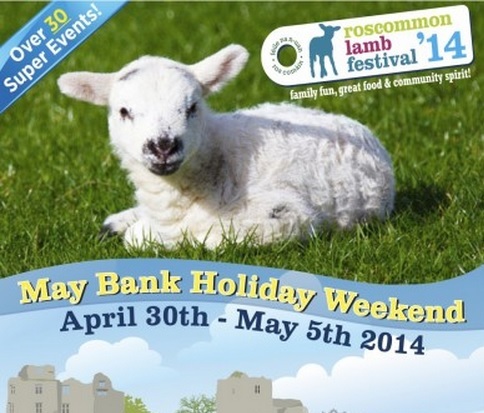 Roscommon Lamb Festival 2014 is in its seventh year and takes place this weekend. A key highlight of the festival will be Sheep Dog Trials on Sunday. The organisers are expecting in the region of 60 competitors on the day for the sheep dog trials, and already have a number of internationals competitors signed up, including French, German and Americans. The sheep dog trials are part of the Roscommon Lamb Festival, which is a celebration of all aspects of Co Roscommon’s food, farming, heritage, craft and most importantly – family, in a range of events designed to suit everyone’s tastes. The majority of the events are free and the festival itself is a non-profit event. 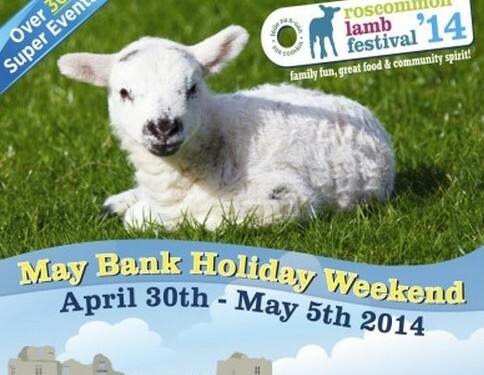 Roscommon Lamb Festival started in 2008 organised by a committee of local farmers, restaurant owners and community groups. The vision for the festival was to “highlight the quality of locally-produced food and to attract additional tourists to Roscommon thus boosting the local economy and benefitting primary producers and suppliers”. 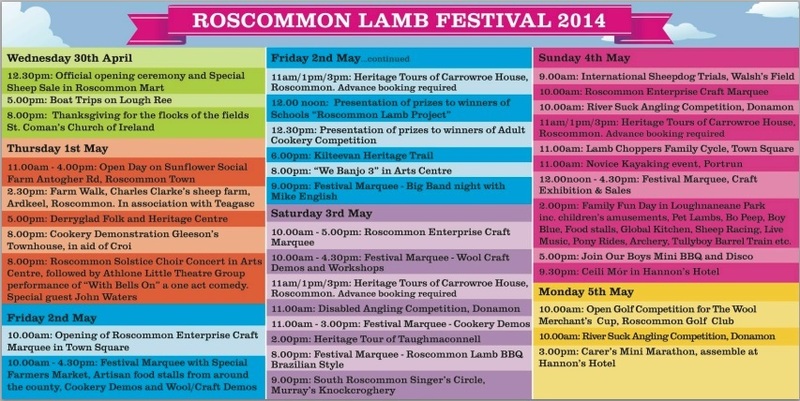 Based on the fact that Roscommon has the highest lamb output in the country, the festival celebrates lamb in a diverse range of food and farming events over the course of the weekend.